WorkLifeBalance.com is the leader in non-planner specific time management training. The objective of most time management companies is to train you on how to use “their” calendar system. 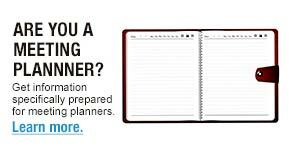 Although learning the tips on using a planner or calendar are important, your overriding objective is to find ways to create more value for yourself and your team in both your professional and personal lives. Advanced Time Management Training delivers this increased value from your time through five easy-to-use, trademarked time planning tools. Through highly-interactive learning, participants will apply these easy-to-use mental tools for more effective calendar use. More significantly though, they can apply these time management skills in numerous other ways to get more of what is important to them done in less time, both on and off the job. No other time management training has comparable measured results – a 96% completion rate on identified business and personal objectives. Learn more about our valuable time planning tools – call 1-877-644-0064 or watch our free time management demo online.